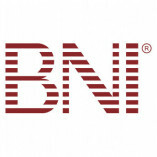 BNI rules are adhered to in a clear and fair manner in the chapter. The exchanged recommendations reflect BNI quality criteria. Networking within the group was clearly visible. Mehr Umsatz durch starke Empfehlungen! Verlässliche Leute und schnelle, qualitativ hohe Arbeit! Die Zeit lohnt sich!